Size: 22 1/2" x 39 1/2"
Countertop Edge Profile: Edge Treatment to be Full Bullnose, Edge Treatment to be 1/8" Roundover on Vertical Edge. 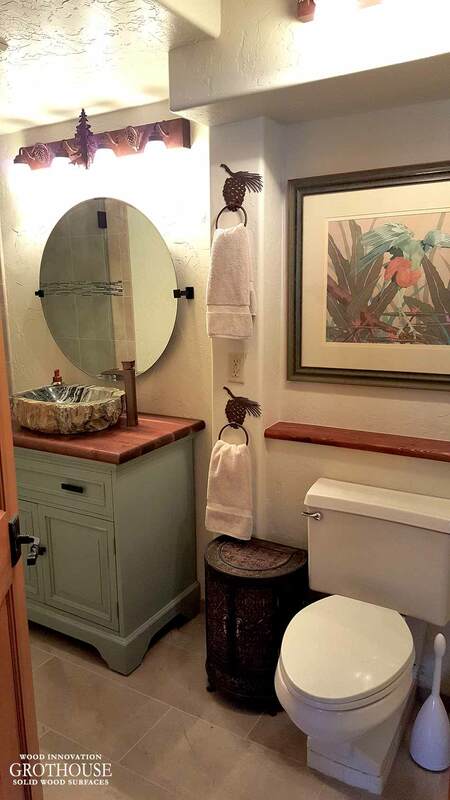 This bathroom is one with nature, by utilizing neutral tones and nature paintings. 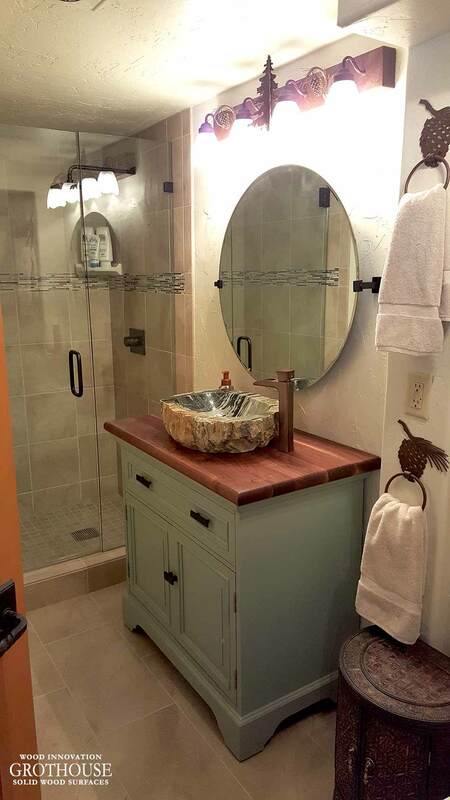 The walnut with sapwood bathroom vanity top with a stone vessel sink is the perfect addition to this naturistic bathroom.